NEW Designs - Hippie, Nautical and Chalk Palette Now Available! In keeping with the “new” theme...we are delighted to announce three newly launched designs: Chalk Palette, Hippie, and Nautical! One of the designs might look extra familiar :) You voted! We listened! The Nautical Design is our very first Design vs. Design battle winner! Be sure to have your say in our next Design vs Design battle. It’s your opportunity to share your thoughts on which new design concept you like best, or to provide feedback on which design you’d like to see available on Oliver’s Labels products next. Visit OliversLabels.com/designs/DesignvsDesign for more details. For a limited time, save 20% on all purchases with our new Hippie, Nautical, or Chalk Palette designs. Valid through August 29th, 2016. Place your order today! Out of all the designs we have available, I’m so happy Nautical won Design vs. Design!! It is definitely my favorite! Which ones are yours? Comment below! NEW Products - Window Decals and Pinback Buttons Now Available! As the summer rolls along, we are very excited to add two new product categories: Personalized Window Decals and Pinback Buttons! Show off your personality and reach the masses as you cruise the roadways with your very own Personalized Window Decal! Oliver’s Labels Window Decals are made from a high-performance, weatherproof vinyl that’s made to withstand the elements! Only $11.99 for a limited time. *1 Choose from over 30 icons (including social media and personal interest icons and flags) or simply write the phrase that best describes you or your business! Whichever route you take, our Window Decals will add a beautiful personal touch to your vehicle! Round buttons are the most common and traditional style of buttons available today. Our 1.25" Personalized Pinback Buttons go beyond the tradition, providing a unique way to add fun and personal style to jackets, sweaters, bags, and more. They are made to order and damn good-looking, just like you! Our introductory prices are only around for a few more days….so don’t delay, get yours today! *1 Personalized Window Decals are on sale through August 29th, 2016. Regular price $14.99. Gear up with our Early Bird BACK-TO-SCHOOL #SALE! Although it may feel like summer has only just begun, believe it or not school is just around the corner! 1. Take an inventory of their wardrobe. Take some time to go through your kids' closets. Have them try on any clothes that you aren't quite sure about (this includes shoes, socks and underwear!). 2. Set your children's sleep schedule at least two weeks before the first day. For the older kids this one may be a bit tougher as they are completely aware of when school starts. 3. Encourage them to read at least one book before the school year begins. With all the extra time on their hands, you may notice your kids glued to the TV/Video Games so getting their mind working again will help with the transition. 4. Refresh your "screen time" rules for the school year. Yes, technology and gadgets are essential for your child's development, but a lot of children are occupied with their iPads instead of time spent playing outdoors. 5. Visit the (new) school with your kids to familiarize them with their new environment. This will help get them more comfortable with the change. 6. Label EVERYTHING! Anything you can put a value on, should also have a label. This includes clothing, shoes, school supplies and jackets! 7. Don't overbuy supplies. Make sure to contact the school to find out what their teachers require for the school year. Still not sure? 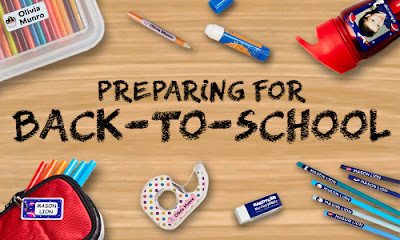 Check out our School Guide Packing lists! We've created an easy to use, printable checklists for each grade from JK - 6. My list can go on and on! As you can see getting prepared for back to school isn't only about buying brand new notebooks, pencils and clothes, it's also about preparing mentally, physically and gearing up with Labels and Tags for all that new stuff you buy! 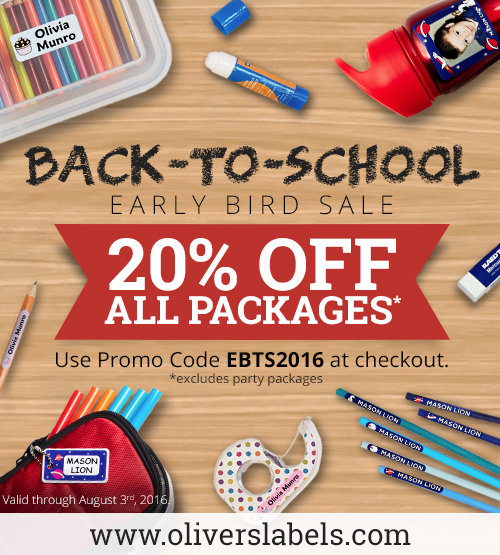 To take advantage, please use promo code EBTS2016 at checkout. Since all good things come to an end, this deal is no exception. Offer ends August 3, 2016 @ 11:59pm EST. When ordering, don't forget about our exclusive, optional (and FREE!) Found-it™ system - a must-have to help your kids' lost items get returned. When you choose to add Found-it™ to your labels, we print them with your very own unique I.D. If your item is reported found, we send you a notification email right away! I hope this has been helpful and as always, I'd love to hear from you! Comment below about how you get your family ready for back to school! Back in February of this year, Debbie, our founder, made her first TV appearance and the response was so overwhelming that she's back at it again! We're so excited to announce that our segment on Rogers daytime will be LIVE tomorrow! 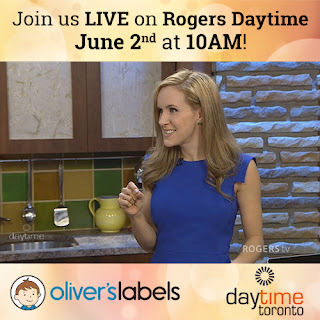 Tune in on Thursday, June, 2nd at 10 am on channel 10 or 63 in Toronto (Toronto/Scarborough). If you miss us, don't worry it will re-air at 3pm and midnight! She will be talking about our amazing Camp Package promotion, as well as our beautiful Kids Labels and our exclusive Found-it™ system. We hope you are as excited as we are and want to thank you for supporting us and being a fan! The TMNT excitement is building, because the turtles will be back on the big screen in only four days! In anticipation of the movie premiere, we're celebrating with a few giveaways. If you missed our first one, don't worry... we've got another one for you today, and it is radical! 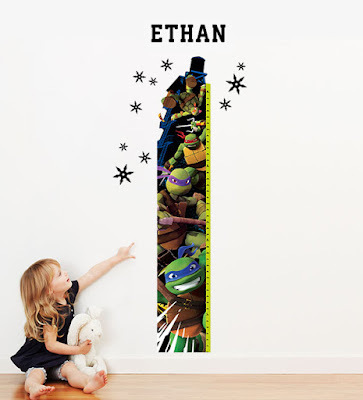 Our Name Decals are a hit with kids because they can decorate their rooms with all their favorite characters, and parents love them too because they're gentle on walls and can be removed whenever they like. Moving? No problem! Simply take them off the wall, put them back on the paper they came on, then roll them up and reapply again when you want to. Easy peasy! Enter via the Rafflecopter below for a chance to win! 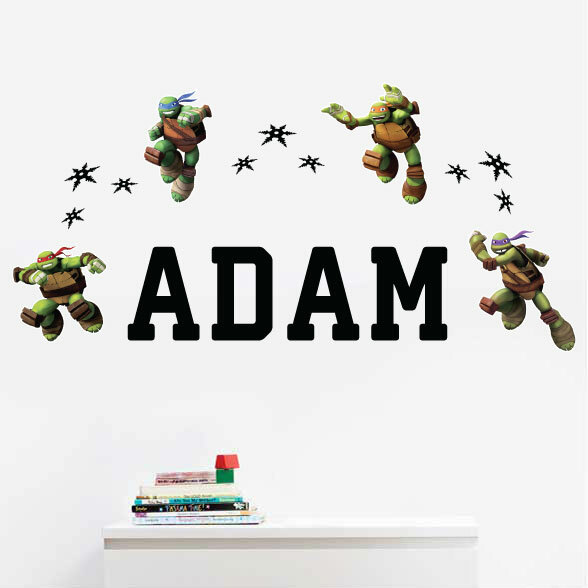 And be sure to visit our website to see all of our TMNT products here. We've got everything a TMNT fan would need - labels, tags and more! Don't forget to stop by our social media pages this Friday, on the movie's release date, because we've got an extra special surprise we'll be sharing! The giveaways are open worldwide to persons age 18+. Full contest rules and regulations can be found in the Rafflecopter. If you're a Teenage Mutant Ninja Turtles fan, or have one in your house, you probably already know that our favorite heroes in a half shell will soon be on the big screen again! In a follow-up to their 2014 series reboot, the turtles - Mikey, Donnie, Leo and Raph - return to save their city from a dangerous threat in Out Of The Shadows, which opens on June 3rd. Our first giveaway is a cool TMNT Growth Chart - the perfect way to track your little one's milestones. 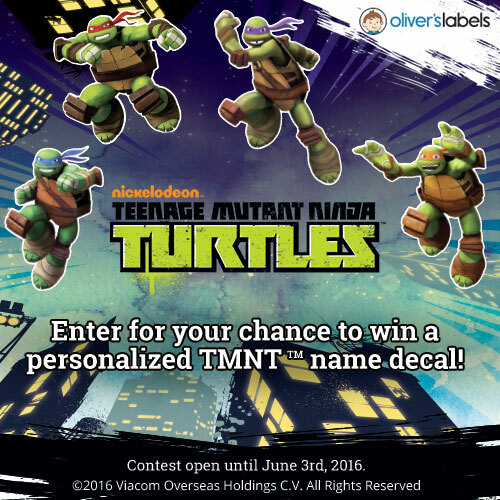 Starting next Monday (May 30th), we'll be having another giveaway - this time, a set of TMNT Name Decals! 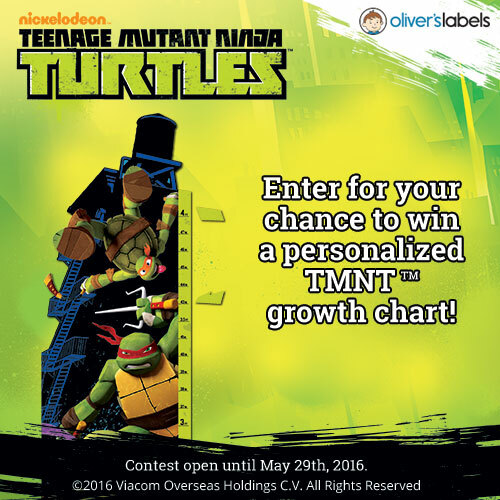 Enter via the Rafflecopter below for a chance to win a TMNT Growth Chart, and be sure to visit our blog on Monday to enter our second giveaway! While you're at it, check out all of our other rad products here. From sticky labels to bag tags and iron-on labels, we've got your child - and their stuff - covered...TMNT style! If you want more TMNT fun, we've got an extra surprise for you next Friday, on the movie's release date. We'll be sharing it on our blog and social media pages, so don't miss it! Some of the most amazing memories of my childhood are those spent at summer camp. There's something so amazing about being in the great outdoors, relishing the new-found independence that comes with attending sleep-over camp. Confidence that wanes in a school setting often soars at summer camp. Everyone is there to make friends, learn life skills and enjoy s'mores around the campfire. Simply put, it's magical. 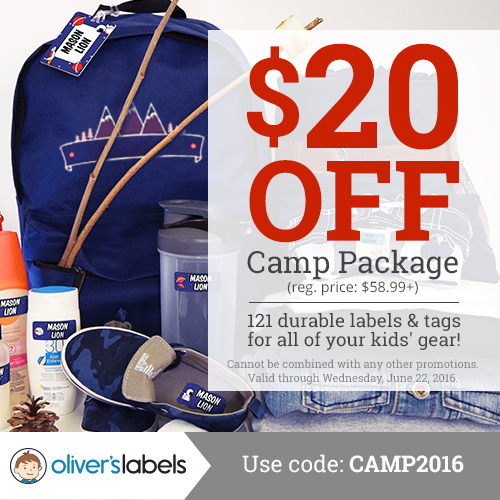 At Oliver's Labels, we truly LOVE camp - for all of the reasons above, and more. That's why we are thrilled to share awesome resources on our blog and social media pages... everything from helping you find the right camp for your child, to last-minute camp tips and complete packing lists that make prepping for camp a breeze! 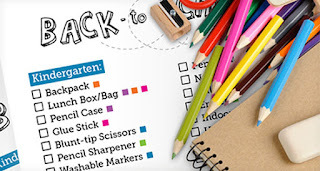 But we know that, no matter how prepared you are, there's a good chance your child's belongings won't all make it home at the end of the summer - unless they're labeled. We are committed to keeping stuff out of the lost-and-found pile, so we're offering $20 off our Camp Package until June 22nd! With over 120 personalized labels and tags available in designs for every age - including Allergy Alert styles - our Camp Package has everything you need to ensure your child has an enjoyable, stress-free adventure.